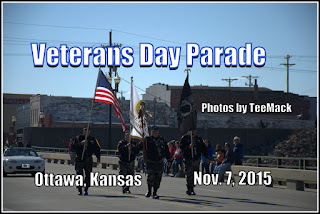 The City of Ottawa, Kansas honored Military Veterans with a Parade down main street on Nov. 7, 2015. The parade consisted of various re-enactment military units, several local car clubs, numerous Fire and Police department vehicles and several local marching Bands. The Parade started at the Franklin County Court House and proceeded north to end at Forest Park. 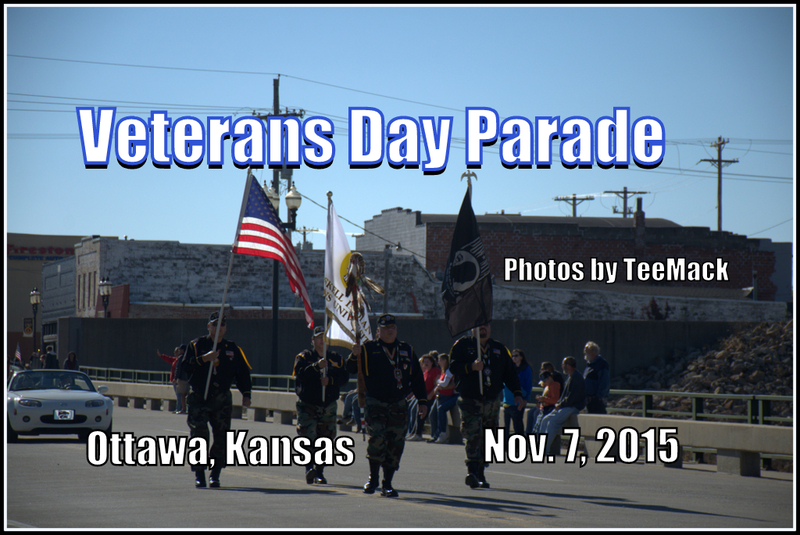 Click here to view photos of the Veterans Parade. These photos are copyrighted and owned by TeeMack Photography. Any reproduction, modification, publication, transmission, transfer, or exploitation of any of the content, for personal or commercial use, whether in whole or in part, without written permission from TeeMack photography is prohibited and protected by U.S. Copyright Laws. All rights reserved. TeeMack.net. Picture Window theme. Theme images by wibs24. Powered by Blogger.